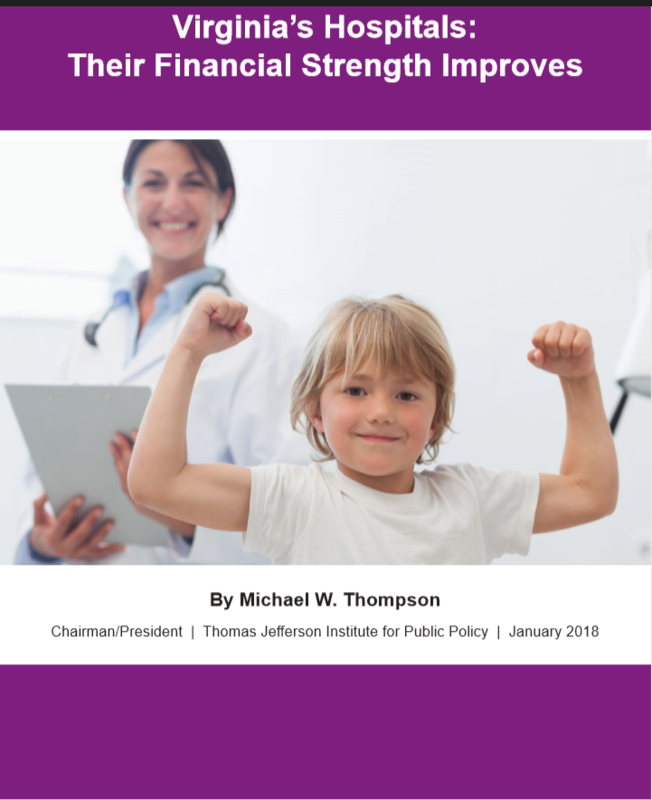 A new study by the Thomas Jefferson Institute shows that the overall finances of Virginia hospitals have substantially improved between the numbers published in 2016 and those in December 2017. More important is the bigger picture: Since 2012, hospital profits have risen from $1.58 billion to $2.15 billion, hospital net worth has risen from $14.75 billion to $19.3 billion, and the number of hospitals operating at a deficit has fallen from 42 to 28. As hospitals argue for Medicaid expansion and monopoly-type protections provided by Certificate of Public Need laws, these are figures worth keeping in mind. Read It Here!